Clean up on Aisle 2013! 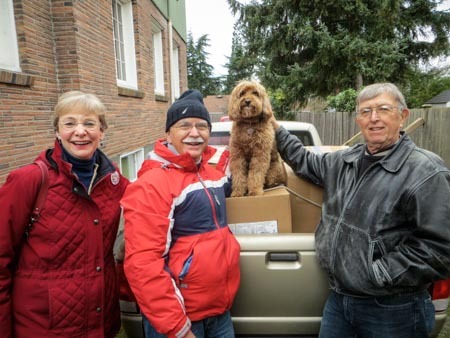 MC2 Board member Karen A (left) and Wedgwood residents (Keith and Lee pictured) along with MC2 canine rep Dewey, closed out the LCHP toy store for 2013 after Distribution Day. After boxing up remaining gifts, trucks were loaded up with children’s gifts and delivered to North Helpline at the Lake City Food Bank. What toys are not assigned to clients are donated to Seattle Tilth and New Beginnings Shelter. We appreciate the abundance of care and donations to our community. THANK YOU!